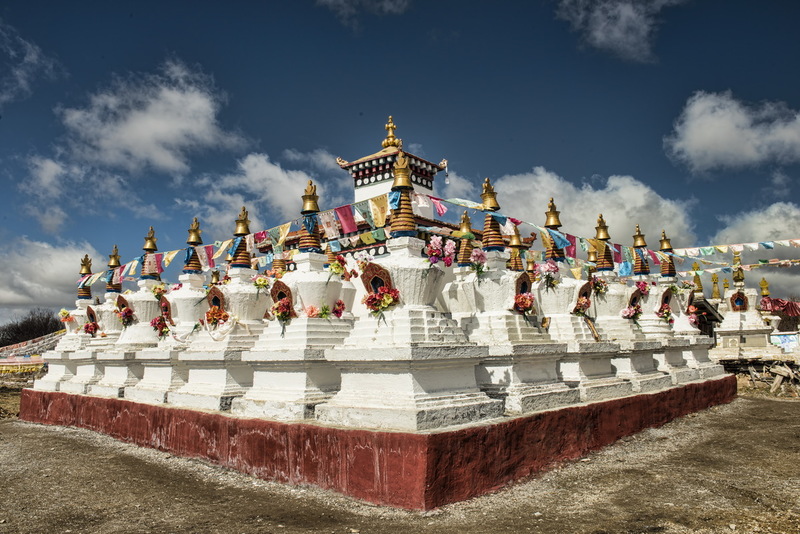 The Waqie Pagodas… The Ruoergai Grasslands in the northwest of Sichuan Province was where we were headed. 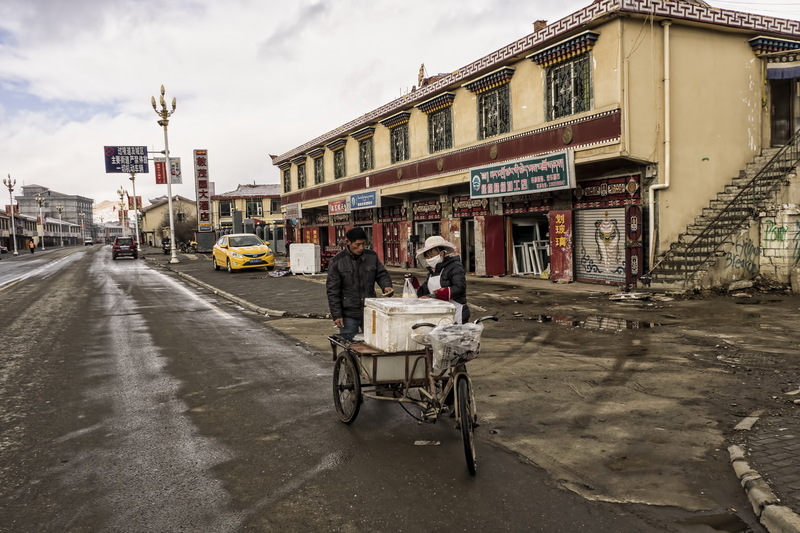 But it’s a two-day drive from our starting point in Chengdu and our journey took us high up on to the Tibetan Plateau through the area devastated by the 2008 Sichuan Earthquake centered around the town of Wenchuan. The next morning we left early, heading north on the S209. 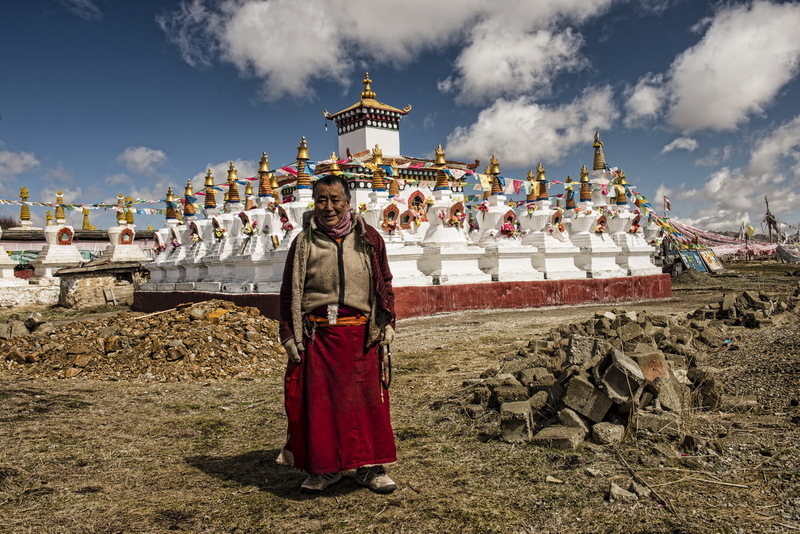 Soon we entered the small town of Waqie and discovered its quite remarkable Buddhist pagodas. The pagodas were quite a surprise as there is no mention of them in either the Lonely Planet guide to Sichuan, or in the Chinese guide books my friend Jun had bought in preparation for the trip. The pagodas are clearly signposted and you can see them from the road. Entry is through a rather forlorn archway that looks as it is should be connected to a boundary wall – but isn’t. As you enter the large area where the pagodas are located. 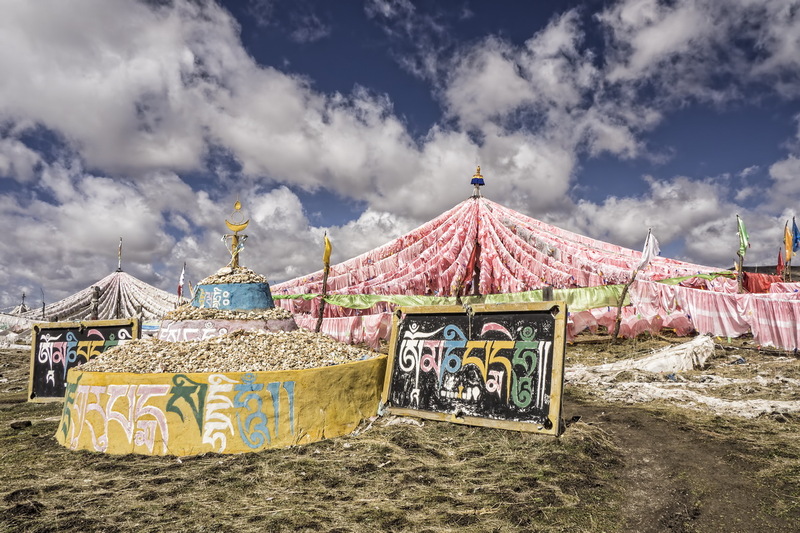 Just a short drive from the main road, you see some incredible prayer flag arrangements. 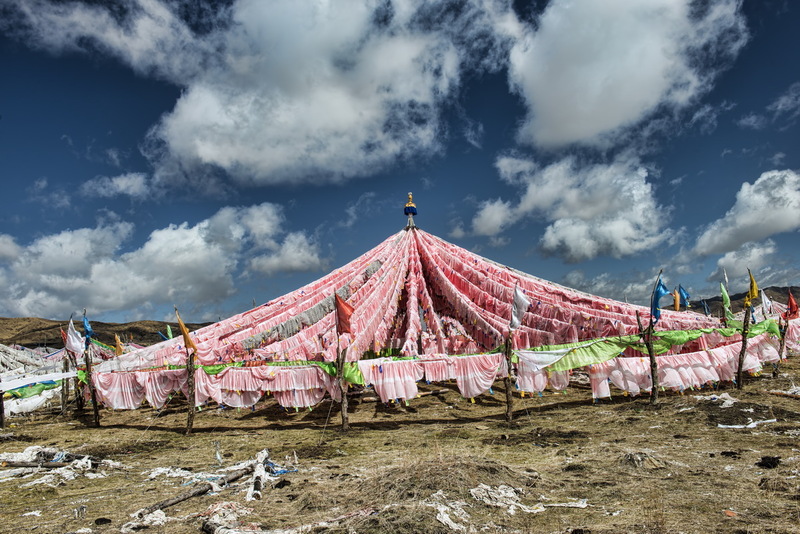 The prayer flags are made of colorful rectangular cloth. They are a common, but still quite spectacular site, across the Tibetan plateau. And can be seen strung along mountain ridges and peaks high in the mountains. They are used to bless the surrounding countryside and bring benefit and protection plus blessings on special events. Further down the entry road from the prayer flags are the pagodas which look incredible. 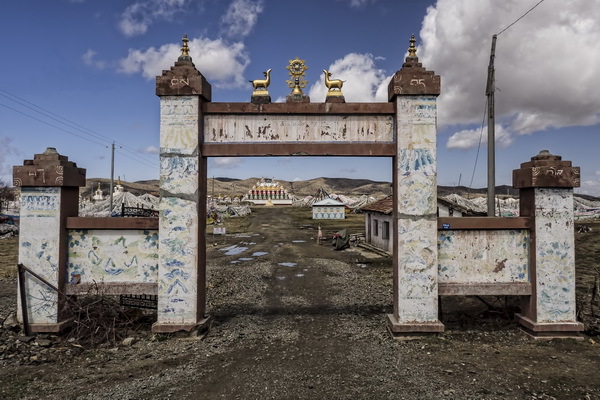 The clear blue skies and cumulus clouds of the Tibetan Plateau make a fantastic backdrop. We seemed to have the whole place to ourselves until this lady (yes, she is…) appeared. And we were requested that we pay an entrance fee. Well that’s what we think she meant as she spoke neither English or Mandarin. But what we offered was eagerly accepted and she agreed to let us take her photo, so we figured we must have guessed right! So… an interesting and somewhat mysterious place to spend a few hours if you are heading north from Chengdu towards the Ruoergai Grasslands. I have been here in Oktober 2016. I was travelling with my Tibetan friends and we didn’t know this place was there. We said to each other that it was unbelievable there. I think it was kind of a fairy tale place. We enjoyed it very much and we walked a long time there and took also a lot of photo’s. I still have to put this pictures of this travel and this place on my website. I hope to this around March of next year.